Thanks for coming to check out my Contour Plus review. It’s a good thing you came here first because this review will give you all the info you are looking for about the Contour Plus camera. In this review you’ll learn all about this new high-tech action camera from Contour including it’s specs, features, customer reviews, price and availability. Released in mid June 2011, the Contour+ action camera has now hit the shelves and is making a big impact in the helmet camera market and putting Contour in the leading position for action camera innovations. Get yours here and you will qualify for our exclusive DriftCam.com FREE BONUS offer! Order a new Contour+ action camera or any other product (camera or accessory) through the links on my website and I’ll give you 2 free bonus products. At a quick glance, you’ll notice the new fresh styling of the Contour+ with it’s brushed alloy casing. It still retains the long slim and compact look of the other Contour cameras but this one has some very refined features to make this distinctively the best action camera to come from Contour to date. 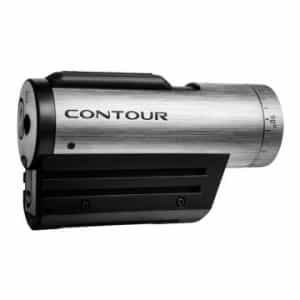 But the Contour+ also comes with many more improvements such as external microphone jack for better sound recording and a fast change battery latch for those times when you need to change your battery in a hurry. As you’d expect, the Contour Plus camera has all the HD recording options you’d want. Full HD 1080p: This is the maximum setting you can choose. Capture 1920×1080 footage at 30 frames per second (PAL 25 fps) to get that true, crisp HD video. 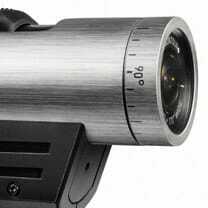 Tall HD 960p: Record 1280×960 footage at 30 frames per second (PAL 25 fps). This is the best choice for filming action sports where you need a taller frame such as surfing, paddle boarding or skiing. Action HD 720p: This is the setting you want for capturing high speed action sports like motorsports, skateboarding or for super smooth motion playback. The resolution comes out in 1280×720 at 60 fps (PAL 50 fps). Contour 720p: 1280×720 captures at 30 fps (PAL 25 fps). When you’re running out of memory card space or just want a smaller file to save time editing and uploading. And of course, still photos are possible too. Both single shots and auto interval timed snapping. Turn Your Smart Phone Into A View Finder! With the new bluetooth radio and the free downloadable smart phone app (currently only for iphone), you can connect your Contour Plus camera to your smart phone wirelessly turning it into the biggest and brightest view finder on any action camera. Not only does it let you set up for the perfect shot, but you can also adjust your cameras’ settings such as white balance, sharpness and exposure from your phone. No more plugging it in to a computer to adjust the settings. With the previously released Contour GPS and Contour HD cameras which only managed to capture 135 degrees, the Contour+ camera is equipped with a 170 degree MEGA wide lens. This means you get more in your videos. This is great for up close action sports and perfect for use in-car where you want to capture the driver, the road and corners ahead. Plus, the lens rotates 270 degrees which makes it easy to get your frame perfectly level when mounting it on any surface you want. The last great feature to mention in this review is the external microphone jack. Off course there is the internal mic to capture your sound when on the go, but for those times when you want to record voice or focus on a certain point for sound (like an external wastegate on full noise) this is a great feature. You get a mic cable with the Contour plus camera but a mic is not included. Pick up a pin mic or hand held mic separately from your favorite electronic goods store. 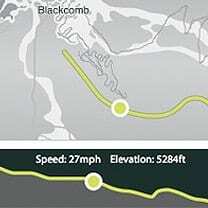 Along with recording brilliant video and sound, the Contour+ also records GPS date, time, latitude, longitude, elevation, velocity, and heading at a frequency of 1, 2 or 4 times per second. The former ContourGPS camera was fitted with a 2Hz receiver wheeras this new Contour+ model is equipped with a 4Hz GPS receiver – twice as powerful as the previous Contour GPS receiver for better response and accuracy. Here is a real life customer review from someone who bought the Contour+ camera. I just got my contour+ and took it out for a little test yesterday… WOW!!! is all i can say. super easy to use, i can adjust all the settings from my ipod (wirelessly i might ad) and watch everything on my flat screen! i have a gopro hd and an old contour hd, this new plus blows them both out of the water. cant wait for the new waterproof case so i can take it out surfing and jet skiing this summer! Watch this video to see the quality of the Contour+ camera in action. Notice the amazingly smooth and quality footage even in low light settings. 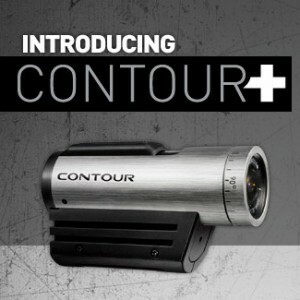 The Contour+ camera is now on sale from many online retailers around the world. It is still in stock and retails for around US$499.99 (as of Oct 3 2011). It’s definitely not the cheapest action camera on the market but if you want a premium helmet camera with everything you can think of (except the kitchen sink), you can’t go past the Contour+ for the highest tech features (GPS, bluetooth, wide angle lens, full HD) and quality! Shipping is free fo USA and Canada customers, plus a free filming guide with every purchase. There is an option for UK customers too to buy from the above website with free shipping to UK. Don’t forget our FREE BONUS OFFER you can take advantage of when you buy a Contour+ (or any action camera) via my links on this website. Click here for full details about the bonus offer.